According to the U.S. Census Bureau, 60 million acres of farmland in the United States from 1990 to 2008 is no longer used for farming. Despite this occurrence, farming equipment including tractors are needed to cultivate the existing farmland. In fact, in certain areas of the United States, farmers need tractor equipment to keep-up with increasing agricultural needs. 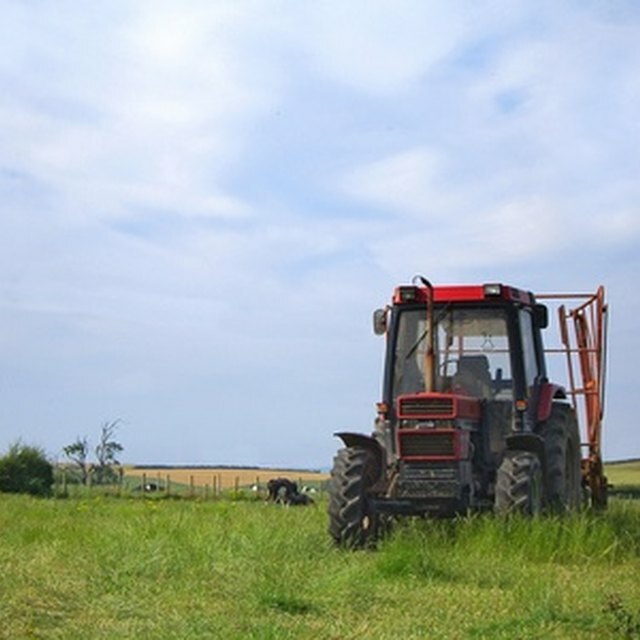 If you live in an agricultural dominate region, you may be able to start a profitable small tractor dealership. Write a business plan for your small tractor dealership. Include what products and services you want to sell in addition to tractors, if any. Decide if you want to be a dealership that sells only one brand of tractor. Conduct research to determine the weaknesses, strengths, threats and opportunities of your location, resources and competition. Secure funding for your dealership. Apply for business loans from local credit unions and banks. Form a relationship with investors who have enough start-up money to fund a portion of the dealership. Contact representatives from manufacturers or equipment for information on grants and tips on financing your own small tractor dealership. Register your dealership with your state. File articles of incorporation forms with your secretary of state's office. Complete paperwork to register your dealership with the department of revenue to collect sale tax on tractors you sell. Apply for an employer identification number (EIN) through the IRS. Purchase property and liability insurance to protect your dealership from personal injury and natural disaster damage. How do I Start a Nissan Dealership? Find a commercial lot where you can start a small dealership. The space needs to be capable of housing your tractors and other products you want to sell. The location needs to have security or be gated. Find a location that has enough office space to conduct final sales and to keep your records and finances. Choose a location that has a garage space for customers to bring their tractors for small repairs. Purchase tractors directly from manufactures to sell. Consider visiting auctions on the weekends to purchase tractors at a discounted price. Hire a good mechanic who can make repairs to used tractors before reselling them on the dealership lot. Hire staff. You'll need a salesman to talk with the farmers and consumers who are interested in buying a tractor. Also, you need a receptionist and an accountant to handle the administrative duties for the dealership. Advertise your small tractor dealership around your area. Place ads in newspapers and publications that cater to farmers. Attend local farming meetings, fairs and expos to network with farmers in the community. Business guidelines and laws vary from state to state. Consult with an attorney before starting a new dealership.